Peyton Siva is enjoying his finest season as a professional basketball player and the 7DAYS EuroCup Semifinals were the latest stage for him to star on. 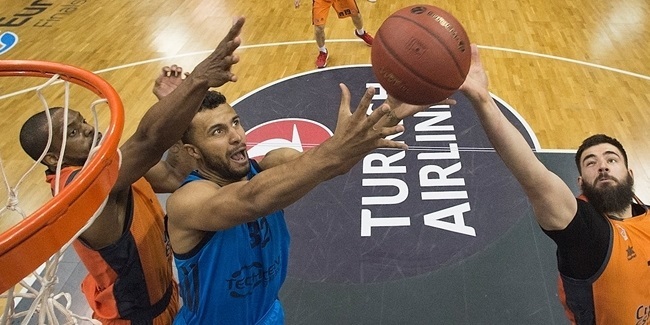 Siva stood out in the semifinals in pacing ALBA Berlin to a sweep of MoraBanc Andorra. He was the competition leader in both points scored and performance index rating in the semifinals as well as the MVP for Game 1 of the series. 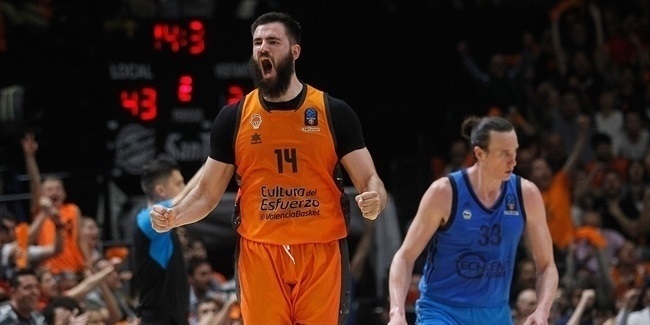 His massive impact in taking ALBA to the EuroCup Finals for the first time since 2010 – with a chance to win the club's first continental trophy since the 1995 Korac Cup – made Siva the natural choice for MVP of the 7DAYS EuroCup Semifinals. The 28-year-old playmaker averaged 19.5 points, 6.0 assists and 1.0 steals for an average PIR of 23.5 in the semifinals. He Made 7 of 12 three-pointers (58.3%) and was perfect in 12 trips to the free throw line. In addition to leading the semifinals in scoring and PIR, Siva ranked first in free throws made, attempted, free throw percentage as well as in fouls drawn with 12. He was second in assists and in both three-pointers made and accuracy. Siva staked ALBA to a series-opening victory when he tallied 18 points, 9 assists and 2 steals as ALBA outlasted MoraBanc 102-97. He missed just 1 shot in the game in racking up a performance index rating of 32. That PIR made him the Game 1 MVP, which gave Siva honors in back-to-back appearances; he was also the MVP for Game 3 of the quarterfinals. In Game 2, Siva went for 21 points and 3 assists. In addition to keying a 0-10 third-quarter run that helped ALBA pull away, he also had momentum-building buzzer-beaters to end the second and third quarters. His impressive semifinals showing lifted Siva's season-long averages to 15.3 points on 51.7% (31 for 60) three-point shooting and 8.5 assists for a PIR of 18.6 over 11 games. He leads the EuroCup in both assists and PIR and is tied with Jacob Pullen of Cedevita Zagreb for the title of top scorer. Siva is fourth in three-point accuracy and no player has averaged more three-pointers made per game this season than his 2.82. Siva missed four regular season games and all of the Top 16 with injuries, but since he returned has been playing fantastic basketball. Siva is playing his way into the ALBA Berlin history books in what is just his third season with the club. After winning the 2013 NCAA championship at the University of Louisville in 2013 under current Panathinaikos OPAP Athens head coach Rick Pitino, Siva began his professional career in the NBA with Detroit. He also played for Fort Wayne and Erie in the G-League before debuting in Europe with Juve Caserta of the Italian League in 2015. A year later he joined ALBA and has been a force for the German club ever since. His next challenge will be to lead ALBA against Valencia Basket in what promises to be an exciting 7DAYS EuroCup Finals series.